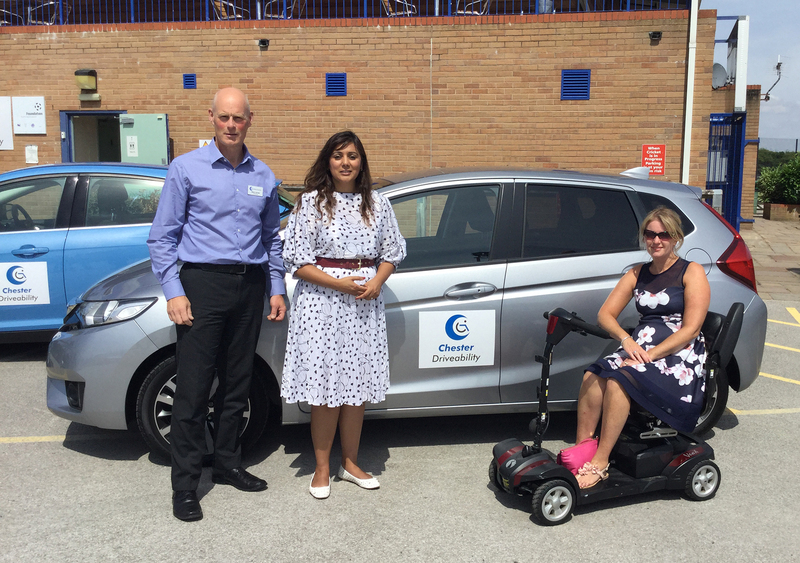 Chester Driveability, a Driving Mobility Centre, has received an official visit from the Transport Accessibility Minister, Nusrat Ghani, Wednesday 25th July. The Minister attended the Chester centre as part of a wider visit looking into accessibility, inclusive transport and the specialist services that exist across the UK. The charity, Driving Mobility, oversees a network of sixteen independent organisations, many with satellite centres, which offer professional information, advice and driving assessments for people seeking assistance with mobility. All centres are staffed by Occupational Therapists and Approved Driving Instructors. Chester Driveability, based in Upton, Chester, has been operating for over a year and offers services to residents in Cheshire and the Wirral. Due to high demand it has recently doubled its assessment capacity to lower the current waiting list. During her visit, the Minister met with Andrea Duckworth, a Driving Mobility service user, who previously visited North Wales Mobility & Driving Assessment Service to look at options for stowing her scooter in a vehicle. Her son, Ben, who has Cerebral Palsy and hydrocephalus, also undertook a driving assessment and subsequently took lessons in an adapted vehicle and passed his driving test at the same centre.